Zenith People is a recruitment agency renowned for its friendly approach to connecting the best talent with businesses in and around the North East of England. 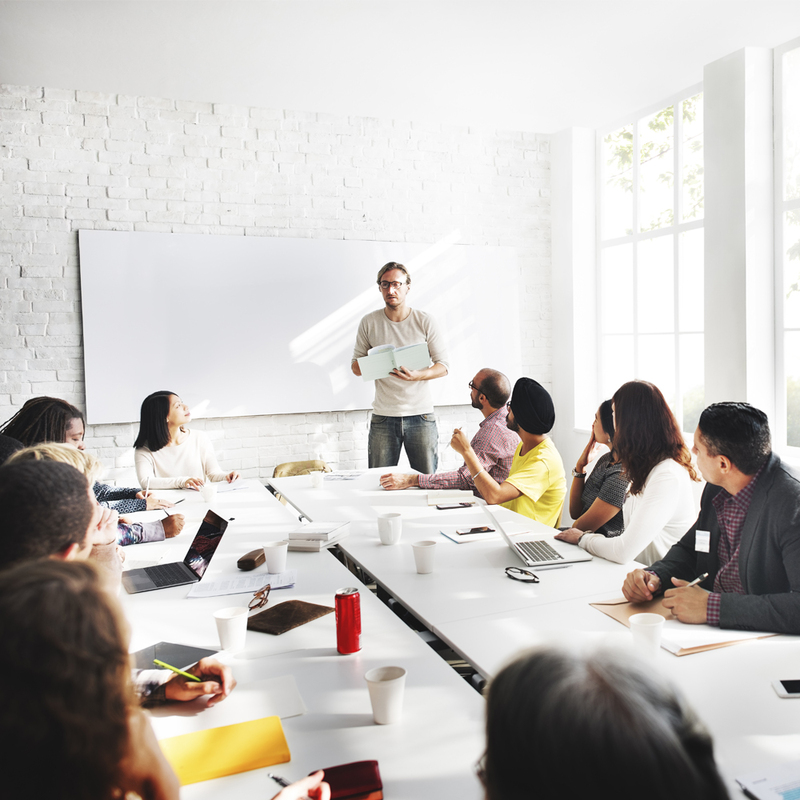 At a time when the company was expanding their services to include training, it became apparent that before any future growth could occur, their offering needed to be refined and brand re-structured so that it would be clearer to customers, their internal team and new target audiences. In addition, we needed to consider where their sister brand Rising Star, a youth recruitment and training business, sat within the new structure. It was important that the new way forward conveyed the company’s future direction and provided a platform for further growth. Zenith People’s proposition had moved on from just recruitment, and the introduction of the training arm of the businesses needed to be well thought out. 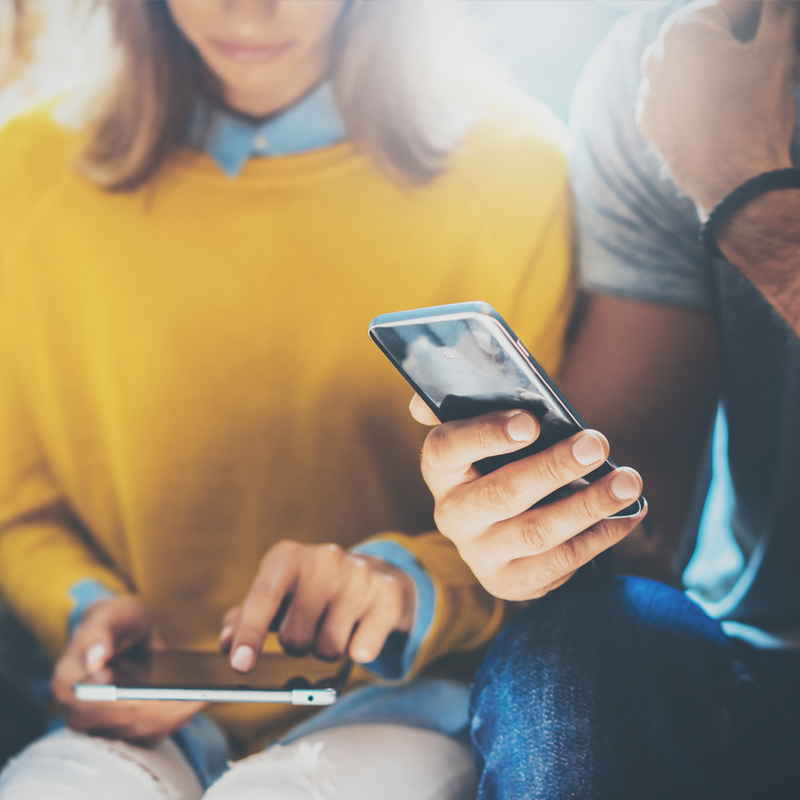 Our role was to understand their current market position and demand for the new offer – and then work out what the brand architecture should be, and how it should be presented to the market. It was important that we provided clarity and considered how all elements of the business worked together. After being selected as its marketing partner, we started our journey with Zenith People. We got to work in uncovering the knowledge we needed to create the powerfully joined-up branding, communications and marketing that would reposition and reintroduce the company to the marketplace. Shifting perceptions was key so if we were going to do that effectively we needed to find out exactly what the team and their customers and partners thought of the current Zenith People. We did this by conducting our communications audit that included the analysis of online and offline assets, research into the industry, as well as one on one interviews. We also took the time to research and identify relevant competitors, digital channels and trade publications, as well as the appropriate networks and conferences Zenith People should be attending to raise their profile. After a thorough design and digital review too, we collated our findings and presented our ideas and strategic recommendations, alongside early mockups of a new brand visual style, back to the team. From the research and strategy, we had our blueprint to build from and could work effectively on overcoming the challenges Zenith was facing. 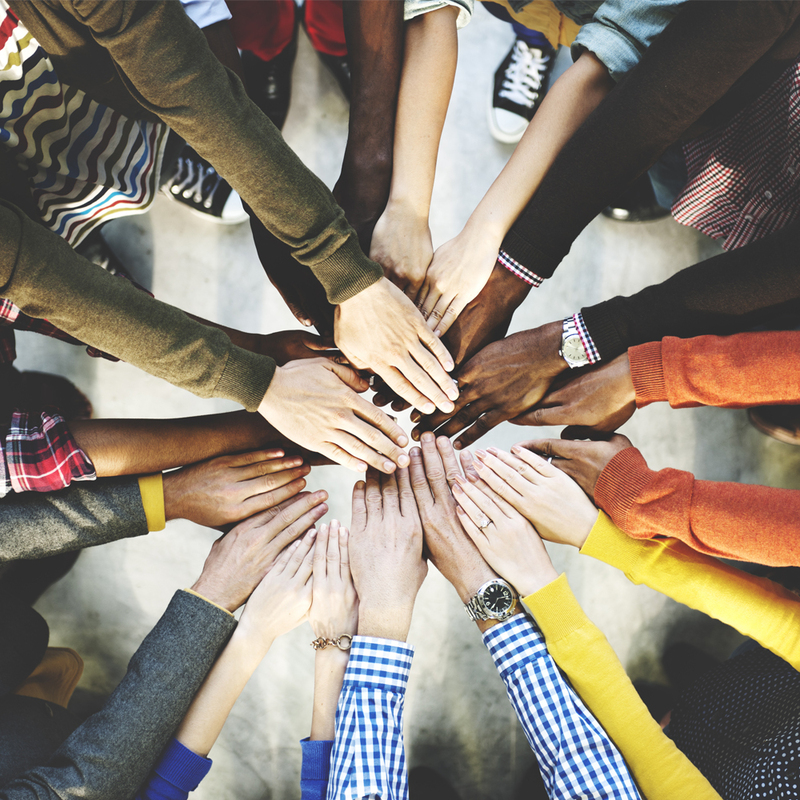 We recommended that the recruitment arm and the new training division should sit under two separate brands which were complementary to each other and would form part of a ‘Group’ structure. 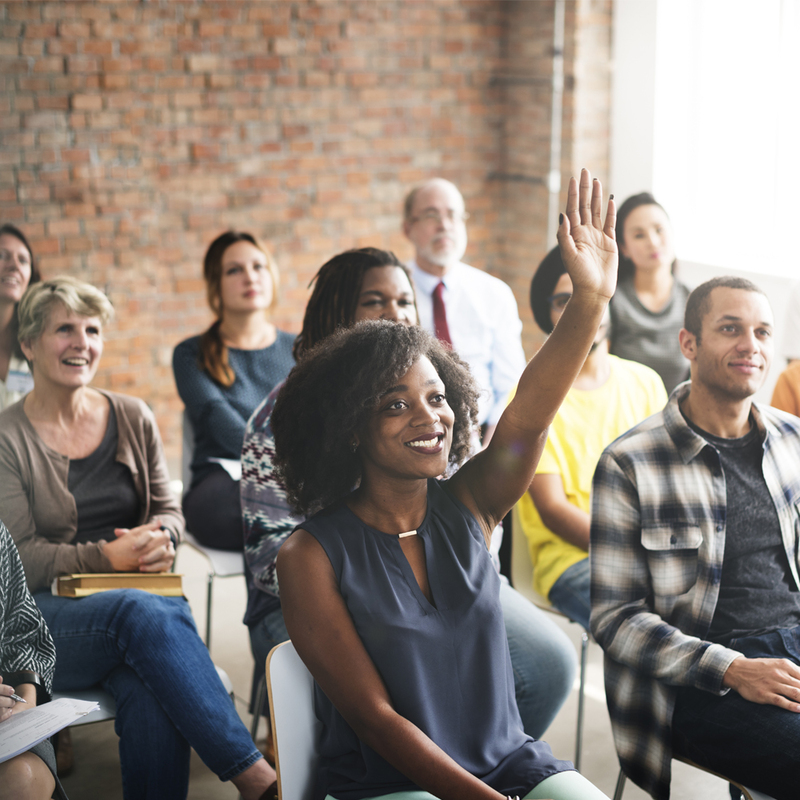 We created Zenith Training to sit alongside the existing Zenith People brand. The rebrand of both ‘People’ and ‘Training’ included a new logo and design system and gave the company the quality appearance to match its recruitment capabilities. 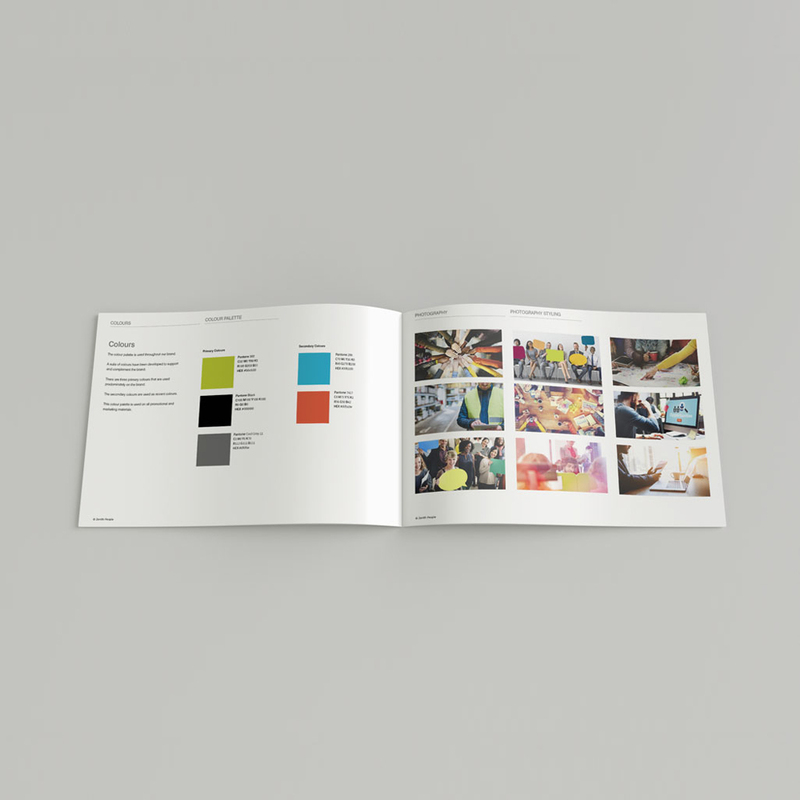 To inspire the creative and give Zenith its unique position in a busy space we drew on their core values – friendly, caring, and helpful. The new visual consistency went hand in hand with a new set of messages and templates too, which gave the team all the tools they needed to pull everything together and move forward with. Having taken on all our recommendations, we successfully repositioned Zenith People and launched Zenith Training as the experts they are in both fields – and provided a clean new brand structure which they can now move forward with. 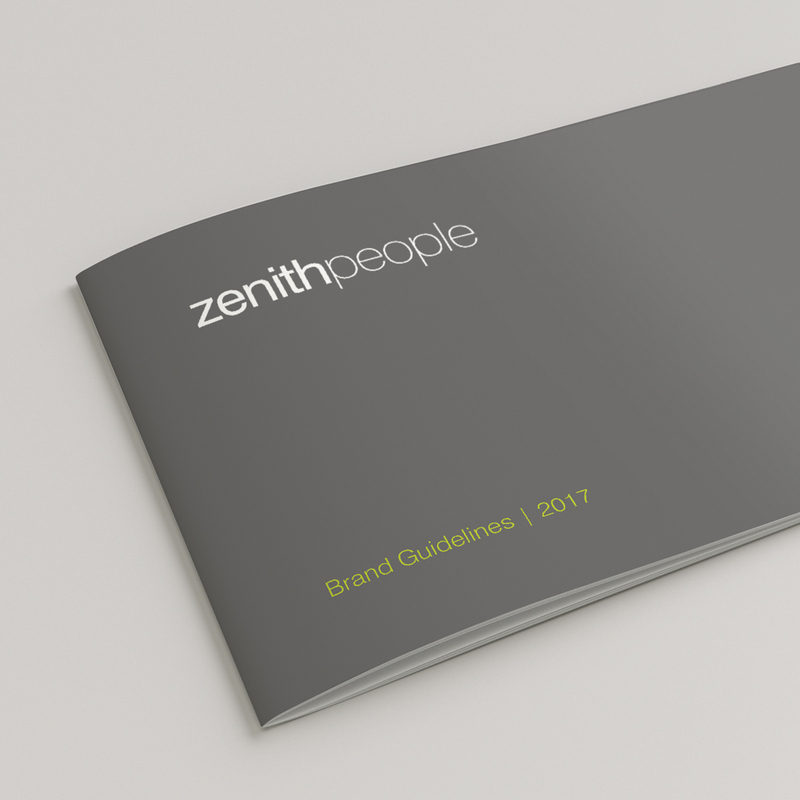 With its new visuals, messaging, tone of voice, brand guidelines and marketing strategy, Zenith People was reintroduced into the marketplace, and Zenith Training launched – providing two brands that work hand in hand together and a rounded service proposition to their customer-base.